Sometimes older pages that become important due to current events will be highlighted so you don't miss them. You can also subscribe to my RSS feed. That means the information on this page will be delivered straight to your RSS reader. No need for you to come back here and check for it. Just right-click (control click for Mac users) on the orange RSS button on the left and then paste the URL into your RSS reader. Or click on the My Yahoo! button, My MSN or Add to Google button if you keep a personalized home page there. Continue reading "Best Decomposers for Growing Kale in Martian Soil"
Continue reading "No More Heat." Continue reading "Heating Up a Nearly Finished Compost Heap"
What is Soil Texture - And Why Does it Matter? 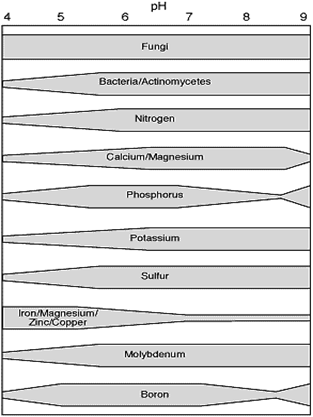 Soil texture is an important part of understandng your soil. It has a huge effect on your soil's capacity to store nutrients. As well it governs water flows. You can not change your soil texture but happily organic matter can help with any difficulties. 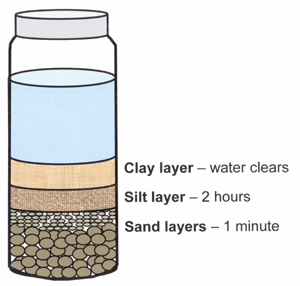 Continue reading "What is Soil Texture - And Why Does it Matter?" Soil Texture testing is easy and worth the effort even though you can't change your soil texture without risking turning it into cement. But you can learn about and understand it. These two simple methods show you how. Continue reading "Soil Texture Testing - Two Easy Methods"
What is soil pH and how does it affect your garden? Find out here how soil pH affects the nutrients your plants can access and how compost helps both acidic and alkaline soils function well. Continue reading "Soil pH - Acid Soil or Alkaline Soil - What You Need to Know"